Back on the set on Marmalade Sessions are the original Orchard family brothers, The Island Souls! This weekend they will be accompanied by the sounds of Joe Dread on vocals and guitar as well as the impeccable Rido on slide guitar! 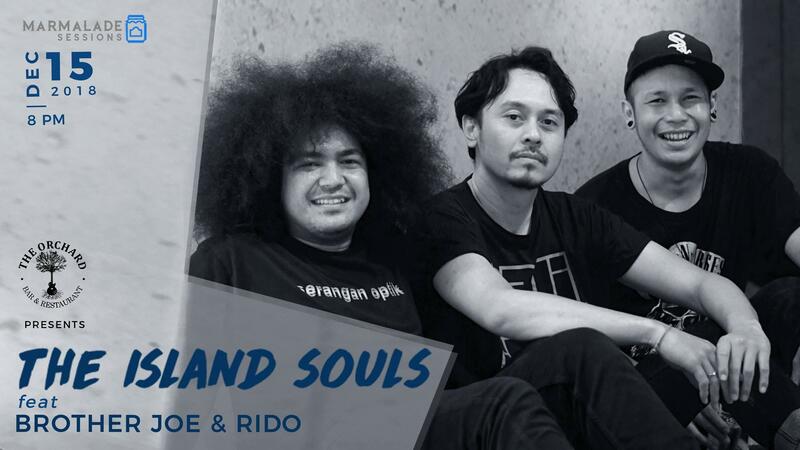 Playing everything from blues to rock to reggae and folk, these lads will surely get your weekend set right! Come down and feel a true Orchard experience with some of the best live musical talent the island has to offer! Come early and enjoy Happy Hour from 5 to 7 PM to get a second glass FREE with every purchase of cocktail or shot!